San Diego is a prime location for outdoor enthusiasts to enjoy. From beautiful, expansive beaches to various historic parks in the area, San Diego has so much to offer for all types of groups. 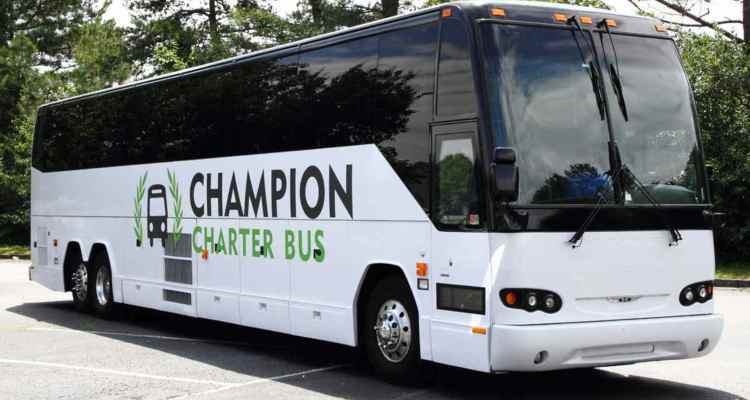 Whether you’re planning a private group trip, a school field trip, or company social outing, Champion Charter Bus will provide you with an efficient group travel option. A charter bus will comfortably get your friends, family, students, or business colleagues around the city and surrounding area. Give us a call at 619-629-0453 to find the best charter bus for your group’s San Diego outdoor trip. With year-round temperate weather, San Diego is a hot spot for family vacations and spring break travelers. Groups can make an outdoor-focused trip or plan to add one or two outdoor attractions onto an itinerary. Locals traveling around San Diego can also plan a school outing or business bonding event at a park, state reserve, or beach. Hike along trails on nature reserves, visit the famous San Diego Zoo or even plan a group event along the beautiful Mission Beach boardwalk. No matter the type of group you’re traveling with, we’ve provided a quick list of outdoor attractions for everyone to enjoy. A private charter bus will help eliminate the stress of coordinating group travel around San Diego. Champion Charter Bus has access to over 1,000 buses in the Western United States, giving groups of all types of transportation options. Large school groups and business groups can travel around San Diego in a full-sized motorcoach, which can comfortably fit up to 56 passengers. Smaller groups like families and groups of friends can choose from multiple models of minibus, which are suitable for 18 passengers to 25 passengers. A charter bus will keep everyone together and ensure everyone stays on the same schedule. Easily travel in a spacious motorcoach with additional amenities like plush, reclining seats, WiFi, climate-controlled interiors, and more. Champion Charter Bus will pair you with the best bus and professional driver for your San Diego excursions. Some of the most popular attractions in San Diego include expansive outdoor spaces perfect for community events and group trips. These areas often get crowded and the roads can get hectic, especially during peak travel seasons. A charter bus will help simplify the travel process in a busy area by dropping groups off in designated areas for an event. No one will have to worry about finding parking at these busy attractions-- Champion Charter Bus and your professional driver will take care of that! 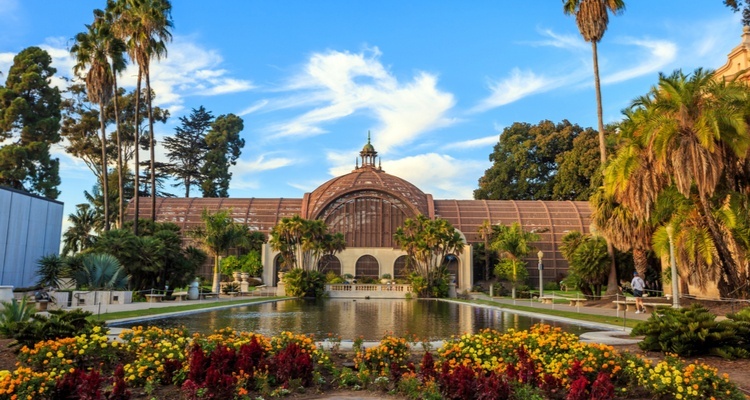 Balboa Park is a major cultural hub for tourism and outdoor attractions in San Diego. This city park is home to an array of botanical gardens, including a rose garden and a historic Japanese Friendship Garden. Groups can explore these gardens, walk the trails throughout the park, or enjoy one of the many sports complexes in the area. Balboa Park also holds a multitude of museums on its grounds, including the Fleet Science Center, the San Diego Natural History Museum, and the Air & Space Museum. At over a century old, the San Diego Zoo has become a South California must-see attraction and one of the highest-rated zoological parks in the country. The zoo sits on 100 acres on the north side of Balboa Park and is home to over 3,500 animals, including rare and endangered species. Visitors looking to take a step further can use their charter bus to shuttle up to Escondido to visit the San Diego Zoo Safari Park, a massive wildlife sanctuary that offers safari tours and animal encounters. Located along the Mission Beach Boardwalk, Belmont Park is the only waterfront amusement park in San Diego and has been a city staple since the 1920s. The boardwalk itself is perfect for group physical activities like marathons and cycling. Belmont Park is also a wonderful destination for field trips and group birthday parties! Groups can book unlimited ride passes and enjoy roller coasters, laser tag, a zip line, and more. SeaWorld is a famous multi-faceted attraction that includes a theme park, outside aquarium, and oceanarium. This family-friendly park includes rides for visitors of all ages and shows including animals like dolphins and sea lions. San Diego is well-known for its beautiful beaches, which can be used for scuba diving, swimming, and surfing. Groups planning an outdoor outing at one of these beaches won’t have to worry about parking during busy summer months. A charter bus or minibus can easily provide shuttling services for schools looking to observe nature up-close for a field trip, or even for businesses holding a large social event like a company picnic. 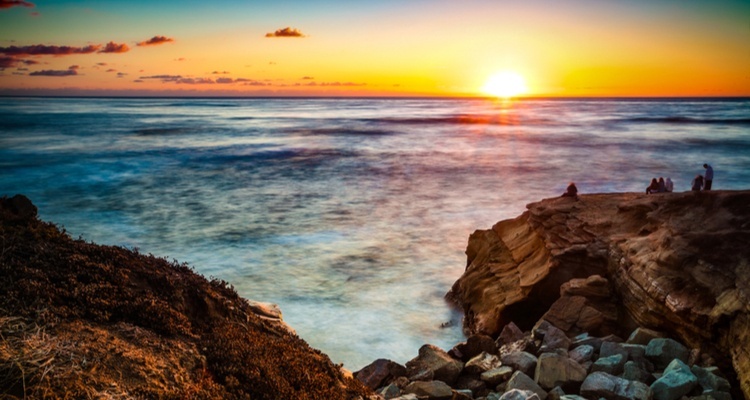 La Jolla is located north of San Diego and has become a popular location for visitors to swim, snorkel, and appreciate the wildlife. La Jolla Shores Park is a wonderful spot to partake in group scuba diving and snorkeling, especially for novices. La Jolla Cove is located across the bay from the park and travelers often visit to admire the water views off the rocks and to admire the colonies of wild sea lions sunbathing on shore. Groups wanting a slightly slower and less crowded beach should check out Coronado just across the bay. Coronado Beach is hailed for being clean and family-friendly, with miles of peaceful shore for large groups to enjoy. The famous Hotel del Coronado is located along the shore and is a popular venue for weddings, large-scale events, and community activities. Along with Mission Beach and Ocean Beach, Pacific Beach is one of the most popular beaches in San Diego. Pacific Beach is a quintessential beach with fishing, swimming, and surfing opportunities along with three miles of boardwalk. Parking is notoriously difficult, so offering charter bus shuttle services for your group will make the trip much easier. There are multiple waterfront parks in San Diego that overlook Mission Bay, Pacific Ocean, and the San Diego Bay. Whether your group is looking for an intense or easy trail, San Diego has plenty to offer. Located along the coast in La Jolla, Torrey Pines State Reserve has nearly a dozen hiking trails that range in difficulty. Most of this trails are relatively short (less than a mile one way) include views from Torrey Pines State Beach. 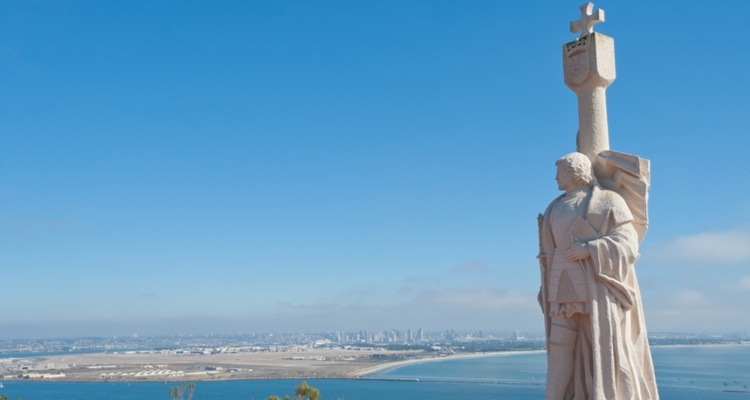 The Cabrillo National Monument is a wonderful location for school field trips and for groups interested in San Diego Bay’s history. The monument honors Juan Rodriguez Cabrillo, the founder of this area. Along with the monument, Point Loma has tide pools, a lighthouse, outdoor trails, and a visitor center for groups to enjoy. Travelers often visit Sunset Natural Cliffs Park to enjoy the beautiful views and the short hikes down to the water. Your group can plan to hike along the cliffs in the early evening to catch the breathtaking sunset views that earned the park its name. Groups of all sizes can find the perfect transportation option for their day outdoors with Champion Charter Bus. Your group won’t have to worry about parking multiple vehicles for your business team-building event, school field trip, or private hiking trip. Everyone will arrive together and on-time to begin a day filled with outdoor entertainment, beautiful views, and picturesque trails. If you’re not sure what type of charter bus would be best for your trip, give us a call at 619-629-0453. Our rental experts are available to assist you 24/7!